Serving the Dallas/Fort Worth Area! 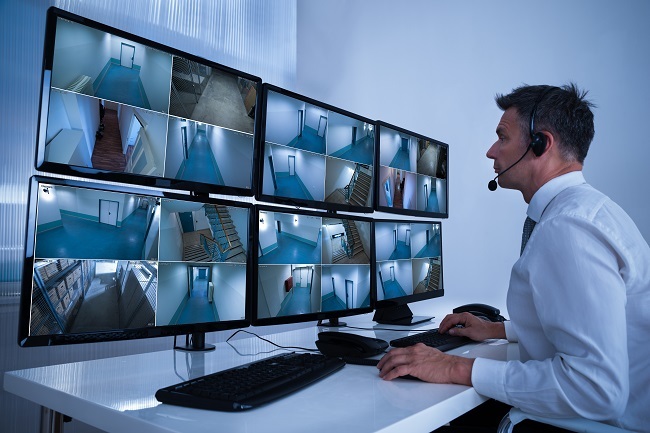 What is a CCTV Camera System and Why Do You Need One? CCTV stands for Closed Circuit Television. It’s a TV system where signals from cameras are not distributed publicly but are rather monitored for security reasons. A CCTV system is based on strategically placed cameras that communicate visual data to monitors across private links so that only authorized personnel are able to see the footage. CCTV is used for a variety of safety purposes, from maintaining perimeter security in sensitive areas, monitoring traffic, overseeing hazardous locations, and most importantly, preserving the security of buildings and grounds. If you are a business owner, investing in a quality CCTV system is one of the most important decisions you can make for your business success and longevity. Having a CCTV system in place can prevent or deter theft, vandalism, and other crimes, lower your risk of costly accidents such as fires, reduce insurance premiums, increase your customers’ confidence in your establishment, and even assist law enforcement agencies to catch those who commit crimes. For a CCTV system to work efficiently, make sure that you place the cameras in key areas within your store or building. Cameras can be placed in the middle of a room or in the corners, facing entryways and exits, and behind checkout counters. Remember that the placement of cameras affect the images and angles that can be picked up, but the main point is that a number of visible cameras can deter potential criminals from acting out and protect your staff and customers from opportunistic offenders. A good CCTV system will greatly help the health and profitability of your business by increasing security and safety. For more information on CCTV systems, or for assistance acquiring a system for your business, please feel free to contact us. Surveillance Made Affordable was established in 2013. At SMA, we are committed to providing the highest quality service at rock bottom prices. Our licensed and insured technicians will professionally install your surveillance system to your satisfaction, guaranteed. Visit our office and check out our showroom to see all of our cameras in action. Let us secure your home or business’s safety and set up your free estimate today! Please call us if you have any questions or would like a free estimate.